This recipe calls for jalapeno stuffed olives, which may be difficult to find. Instead, feel free to use pimento stuffed olives or plain pitted olives (green or black). Chop up 1-2 fresh jalapenos which have been seeded and stuff the olives with both chopped jalapeno and cheese. Some other suggestion to stuff the olives with would include crumbled bacon and cooked chorizo. Drain the olives and rinse under cold running water. 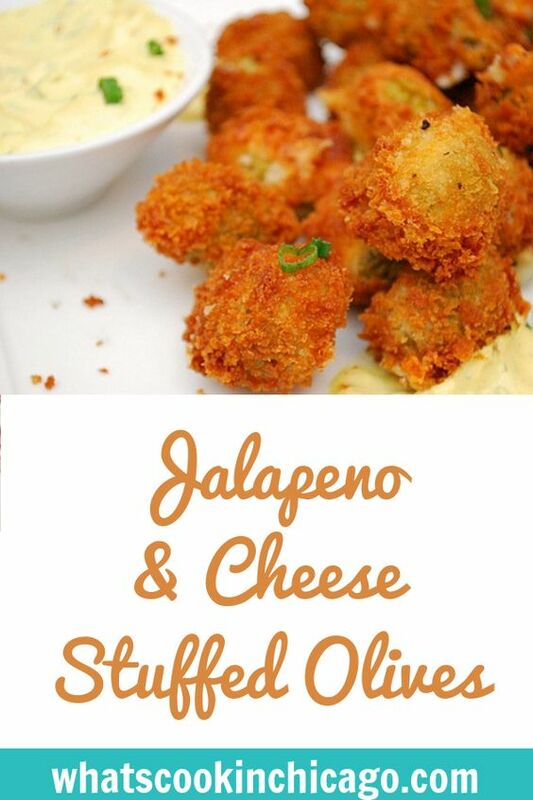 Carefully stuff a strip of cheese into each olive. Place the breadcrumbs in a medium bowl. Crack the eggs into another bowl and whisk until combined. Place a medium saucepan over medium high heat and add enough oil to reach halfway up the sides of the pan. Heat the oil to 350 degrees. 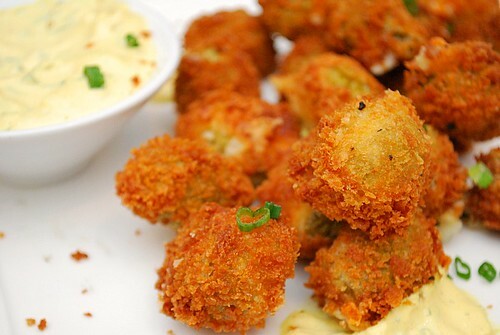 Working in 2 batches, fry the breaded olives for 2 minutes, or until golden brown. Transfer them to paper towels to drain. Serve immediately. This looks so delicious! I like the idea and the whole recipe. Thanks for sharing.